The thing I love most about denim jackets is the texture and dimension they add to a look. If you think about denim in general, it has a lot of shades of blue going on- it has fading, it sometimes has distressing or can even have rips with white threads peeking out. There is more visual interest than a plain weave fabric. That means that it adds a lot more richness of texture to outfit. Beyond the aesthetics, jean jackets imbue a casual-cool attitude. This means that a simple, stuffy or otherwise boring look gets a shot of coolness once a denim jacket is tossed on. Voila, an easy styling update that takes no effort at all. 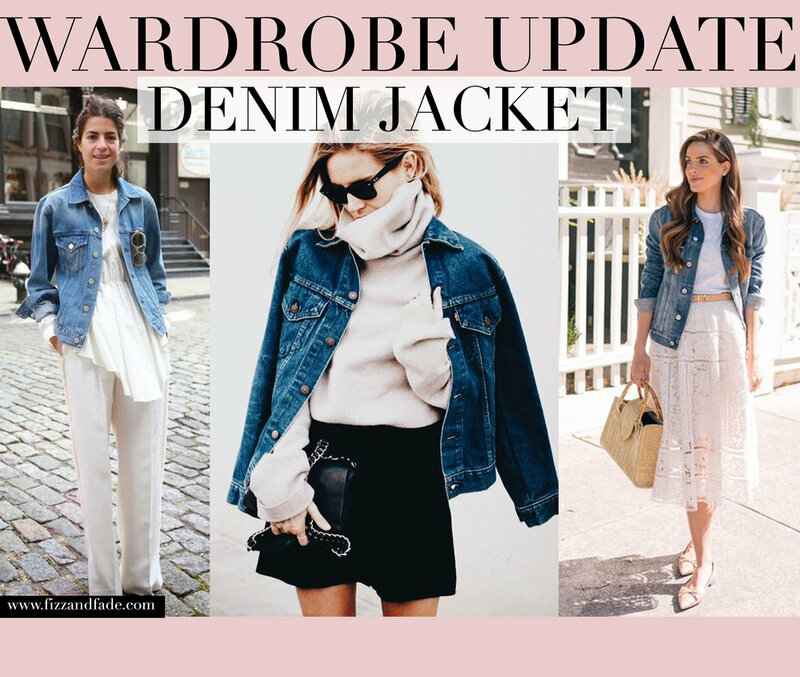 There are so many ways you can wear a jean jacket, it is truly one of the most versatile pieces you could have in your closet beyond, well, jeans. While you can definitely layer a jean jacket under heavier coats in the winter, like I did here, I prefer them as a topper for warmer weather. Some examples of how to wear your jean jacket include over a turtleneck and skirt, with another shade of denim or with a floral dress. Until the weather gets warmer in NYC, I’ll be pairing mine with sweaters, scarves and lots of layers. What’s so great about a denim jacket is that it is season-less and the possibilities are endless, so get creative! In case you don’t yet have a denim jacket in your wardrobe I’ve included some options below in a range of prices, some as cheap as $25!